Impress and engage customers and partners with dedicated extranet sites. Share documents, coordinate schedules, manage joint projects and more. An extranet allows businesses to share documents, calendars, manage projects and communicate with distributed employees, partners, and customers. Some businesses use their extranet as a customer portal to enhance customer relationships. Extranet functionality enables 24×7 private, secure access to collaborative tools with just an Internet connection. Compare an intranet and extranet. Your partners expect access to the most reliable, accurate, and up-to-date information. An extranet solution provides a cost-effective solution without the anxieties and costs inherent with supporting complex virtual private networks (VPN). As the number of distributed workforces and virtual teams increase, the need to access and collaborate on business information via the Web is critical to success. HyperOffice offers a low-cost, hassle-free, scalable, and secure extranet software solution. Just get started online and give your distributed employees, customers, and partners a central online location to easily share information anytime and anywhere. Accessbusiness email, share calendars, share documents, maintain online address books and manage joint projects with just an Internetconnection. Access business email service, view group calendars, share documents,a nd manage projects through your customer extranet or partner portal. Build unlimited extranets and brand and customize each for every customer, vendor, or partner. It literally takes just a few minutes with our simple drag and drop Extranet Site Publisher. Reduce operational overhead associated with IT consultants, expensive servers, and software upgrades. Our extranet solution is completely hosted! Remote access to your Web-based extranet. Access your information anytime, anywhere with just an Internet connection. 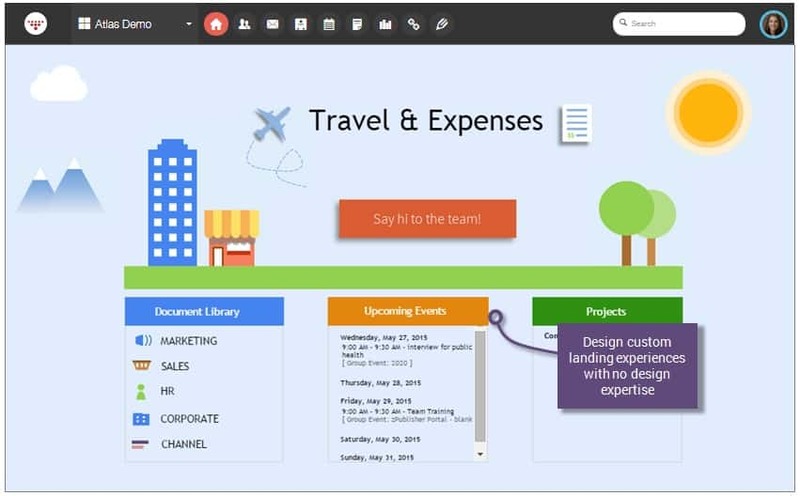 Extend your extranet for use as a company intranetor a customer portal!